At Noorsveld Safaris the plains game hunt begins at sunrise, with a cup of delicious hot coffee and a light breakfast. While you breakfast, the staff at Noorsveld Safaris get the hunting vehicles ready, ensuring all necessary equipment for a successful hunt is packed. After breakfast, our professional hunter takes you to the Eastern Cape bushveld to begin the plains game hunt stalk for whichever species you plan to hunt on that day. Once you reach the correct location, the ‘walk and stalk’ begins. 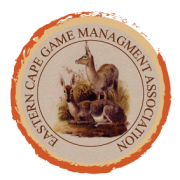 You will hunt in an area of varied terrain that is typical of the Eastern Cape's splendid landscape; it ranges from open plains, thick bush and rocky hilltops. A cooler box filled with snacks and cold refreshments is available on each hunt to maintain energy levels throughout the hunt. Noorsveld Safaris ensures plenty of cold water and soft drinks to keep you hydrated. On a hunt at Noorsveld Safaris you will be exposed to an abundance of game around you which makes for an enjoyably scenic hunting experience. The professional hunter will be sure to point out all the interesting fauna and flora in the surroundings. When you spot the trophy animal that you want, and the professional hunter is satisfied with it, you get comfortable and ready to take the shot. (We do carry shooting sticks if the hunter wishes to use them.) Thereafter it is up to you to take the shot. Our professional hunters will not rush you whilst on the plains game hunts, and they will take their time in looking for a really good quality trophy for you. Each hunt is conducted at each individual's pace. Once you have shot your trophy we will take photos of you with your trophy, capturing the success of your exciting plains game hunt. Thereafter the animal is taken back to our professional caping and slaughtering facilities. Our skinners begin caping your trophy, ensuring that we are able to send a good quality trophy to the taxidermist, so you get a trophy in your home that you can be proud of. Our caping and slaughtering facility is of the highest standard, and the skinners have years of experience. The meat from every hunt never goes to waste. We have a large cold room for storage of the meat, which either gets sold or is utilised by staff. We encourage our hunters to try the venison that they have shot, so you will often get to sample your own kill.